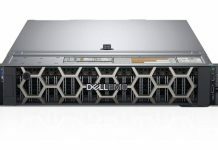 For generations, the PowerEdge R2x0 series has graced the racks of web hosting companies and even edge compute locations. Intel has had many generations of the Intel Xeon E3-1200 series processors as we covered in Looking back at Intel Xeon E3-1200 V1-V6 to the New Xeon E-2100. New Intel Xeon E-2100 processors have launched for servers a few weeks ago, and now we have the latest iteration of Dell’s server with the chip. For cost optimized servers, the Dell EMC PowerEdge R240 shows why the company has years of experience in the market. 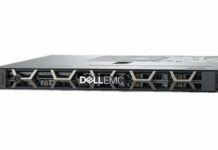 The Dell EMC PowerEdge R240 sports a single Intel Xeon E-2100 processor (or select other SKUs) and has four DDR4 ECC UDIMM slots. Current modules top out at 16GB each, for 64GB maximum memory in this server. Rumor has it that there will be 32GB ECC UDIMM modules in the market in 2019 and Intel plans to support them on its E-2100 platform so we may see Dell release an update to double RAM capacity next year. The Intel Xeon E-2100 series chips are the most significant advancement in this market segment in almost a decade. They have high clock speeds and up to 6 cores/ 12 threads. For any web hosting company selling dedicated servers, upgrading to this new generation will provide a differentiated service compared to older offerings using quad-core Xeon E3 models. For I/O expansion, there are two slots via risers both a x16 and x8 physical slot with x8 and x4 electrical connections. Storage connectivity is up to four 3.5″ drives in front. 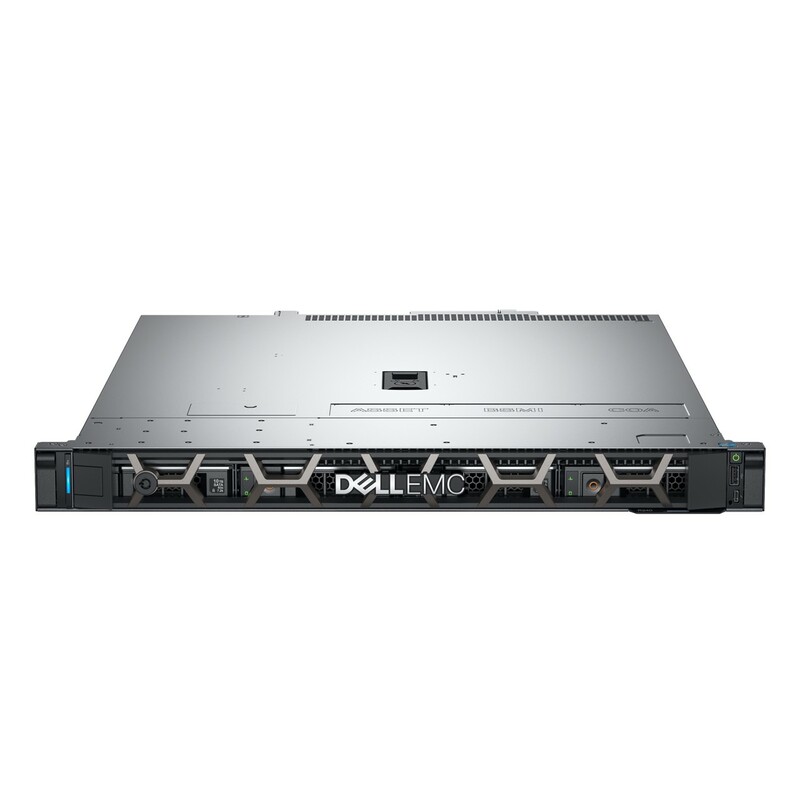 For low-cost options, the Dell EMC PowerEdge R240 has a cabled dual 3.5″ setup which does not support hot swap but is less costly. 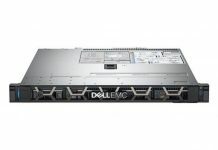 For a nominal upgrade cost, the PowerEdge R240 supports four hot-swap 3.5″ drive bays. The PowerEdge R240 also supports the Dell BOSS OS boot solution for one or two SSD boot drives. Power is provided via a single 250W or 450W power supply. We think most will go with the 250W power supply and use less than 60% of that rated power. Current starting pricing, including discounts, comes in as low as $609 on Dell’s website which makes this one of the least expensive server platforms you can get. That price will only get you a meager Intel Celeron G4900 with 8GB of RAM and a 1TB SATA hard drive. We suggest upgrading to at least the Intel Core i3-8100 as that is a modest price increase for a significantly faster server. If you want more compute, the Intel Xeon E-2146G is our top value pick in the lineup. Patrick our Editor-in-Chief already requested one of these to review. Unlike some of the other options on the market, we did not get a chance to test this one before its release. These are some of the lowest-cost servers on the market, but a trip to a colocation facility and many office equipment closets will see the PowerEdge R240 and its predecessors installed in droves. Anyone has an idea when the R340 will come? I really like these cheap, single socket models, but a dual power supply certainly is nice to have. Just found out the R340 is listed too so i think its released at the same time? It is. Cliff has a piece for that one. Now would be a great time for Intel to launch the rumoured 8 core E-2100 SKU:s. Have STH got any ETA on that?